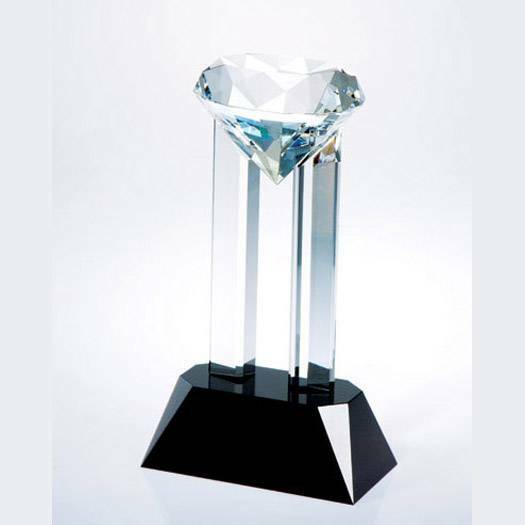 Product Description: This optical crystal venus diamond award is beautiful, standing 9" high with a diamond sitting at the top and a black crystal base. Engraving your corporate logo and text will display well on this diamond award. Pricing Notes: Text and/or logo engraving is included in the price. Text and/or logo can be color filled for an additional fee. See details below.